It is like hitting two birds in one stone! This unique coffee shop breaks the usual by creating a dining space combining two things we all love: entertainment and coffee. But not just the usual entertainment for what you could watch here is a live TV shows aired on a daily basis. 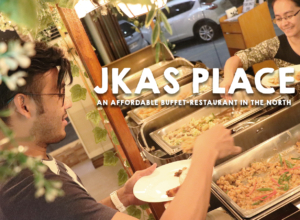 Slowly gaining its popularity, this hidden coffee shop in the north of Quezon City, is something you should put on your list specially if you’re already fed up with the usual. Keep on reading and will tell you more about it. Started in 2016, Daniels Coffee Shop pioneered its branch inside the UNTV Building, along EDSA, in Philam Homes, Quezon City. The hidden coffee shop is a few walks away from TriNoma Mall and is located in the middle of MRT-3 North Avenue and Quezon Avenue stations. Combining two different but yet interrelated idea, Daniel’s is a coffee shop set in a Television studio. It serves client as early as 6 in the morning, while the early morning show – Good Morning Kuya and Get it Straight airs over UNTV. Hence, early guests of the coffee shop can freely watch both shows live. Tip: Remember to be at your best for you might be spotted by the camera and be seen on TV as well. This concept gains attention to both fans of the TV show and the coffee shop; hence additional entertainment and event were scheduled every Wednesday night to cater to different groups or companies who are into having a good time over coffee and music. But of course seeing the TV show live isn’t just the only reason why you would visit this place; the selection at Daniels Coffee Shop is something you should also give attention to. I may not be the kind of food or drink explorer for I always go on a safe order whenever I visit a particular shop. Here at Daniel’s my standard is a piccolo sized Cappuccino, next to that is the refreshing Daniel’s Summer Special Sago. Though I said to myself that I would explore more on trying out the other flavors, after all, my office is located at the same building. Anyway, friends and co-workers who’s a regular at the place actually gives me an idea on to which one I should try next. 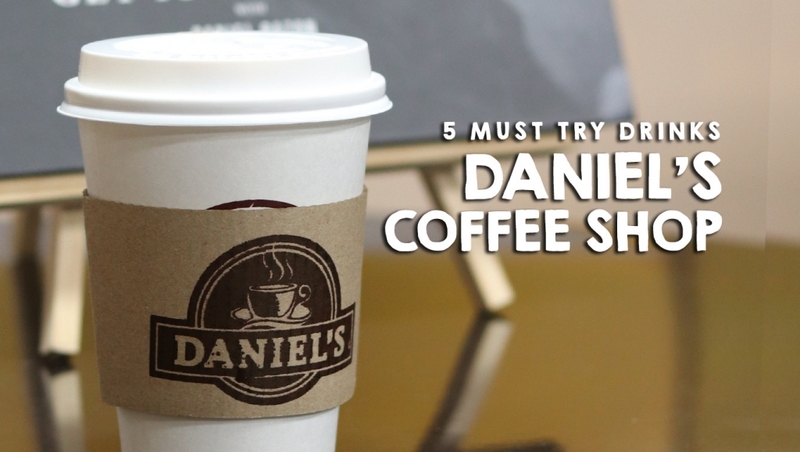 I did a little digging as well and learned these 5 awesome drinks you should first try whenever you would drop by and order a cup of goodness here at Daniel’s Coffee Shop. 1. Matcha Danpuccino – Matcha lovers are in for a treat for Daniel’s have prepared a line up of Matcha flavored drink. Five flavors are available at the moment that includes the original, Coco Matcha, Choco Matcha, Minty Matcha and Matchaccino Danpuccino. 2. Daniel’s Summer Special Sago – If you are looking for the perfect drink on a hot weather, Daniel’s offers this unique Summer Special Sago drink with rich tapioca pearl over crush iced. 3. Cookies and Cream Danpuccino – Cookies and Cream Danpuccino could be a safe choice if you are looking for a non-coffee drink. Enjoy its rich flavor with bits of real cookies inside. 4. Taro Danpuccino – One of the newest flavors Daniel’s is offering called the Taro Danpuccino. This purple drink got that unique creamy blend, taro lovers will surely enjoy. You can also try its counterpart, the Banana Danpuccino. Which among the flavors have you already tasted? Let me know at the comment section? Drinks are available in three different sizes – Piccolo, Medio and Grande and price starts at Php 75 – Php 205. Complimenting cakes and desserts are also available at the store. If you want a Daniel’s coffee at home, 3-in-1 Daniel’s Coffee is also available. Get the limited edition 2019 Daniel’s Planner available in Black, Red, Blue, and Burgundy covers. For only P2,500 each. As of now, Daniel’s Coffee Shop gears towards expansion and continually rising through its different efforts on services, offerings and branches. Daniels Coffee Shop is a concept/store created by Good Morning Kuya main host himself, Kuya Daniel Razon, who is also the CEO of BMPI/UNTV, hence the name Daniel’s. Daniel’s Coffee is located at the UNTV Building, 907 EDSA Philam Homes, Quezon City, Philippines. The store is open Mondays to Fridays from 6am to 10pm and Sundays from 9am to 10pm.